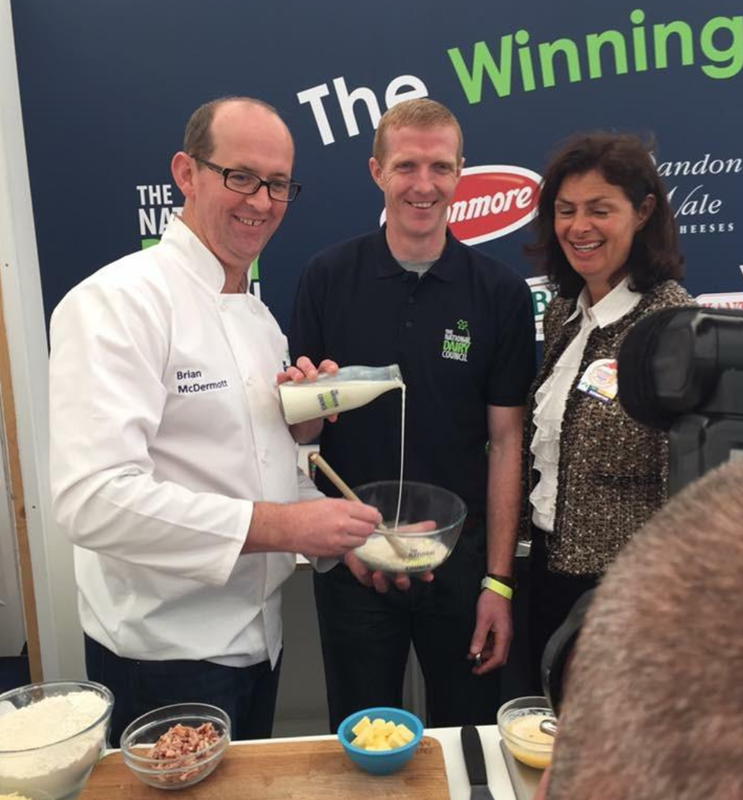 Donegal chef Brian McDermott, pictured above, will be a popular figure at the National Ploughing Championships where he will be cooking at the National Dairy Council’s stand. The Ploughing Championships are one of the biggest events of the year in Ireland and takes place from Tuesday September 20th to Thursday September 22nd in Screggan, Tullamore, Co Offaly. Dropping in to help Brian in the kitchen over the course of the three days will be a number of big names from the world of sport and fitness with Henry Shefflin, Rob and Brian Kearney and Operation Transformation’s Karl Henry all hoping they can lend Brian a helping hand. Brian Mc Dermott is a regular TV Chef on RTE Today Show as well as other regular TV to include TV 3 live slot next week from the Ploughing 2016. Brian has his own Cookery Slot on BBC Radio Ulster and he is a great communicator across all media platforms. He has a strong active social media presence and a regular contributor to print and online media. Following serious cardiac issues as a 33 year old Chef Brian changed the way he cooked focusing on a Healthy Style of Cooking. He is launching his second cookery Book in Spring 2017. Brian headlines the majority of national Food Festivals to include Bloom, National Ploughing, Balmoral Show and many more. Brian is also a regular MC at many Food events. Brian runs his own cookery school in Moville Inishowen Co Donegal teaching many clients his clean, healthy ethos of cooking focusing on the ingredients as the champion. Brian spent 6 years working in New Product Chef role with Kerry Group and currently is Food Innovation Centre manager at North West Regional College having just opened a £500K Innovation Centre to support small food producers with development and route to market.